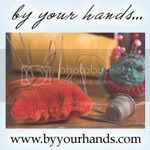 Today's giveaway is sponsored by Colleen Bass of Needles-n-Pins Stitcheries. 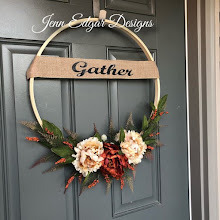 Colleen is a crafter and designer. 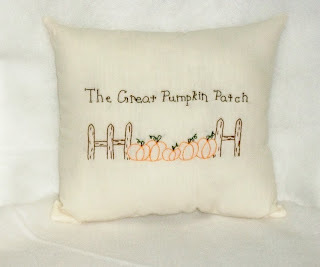 Today's giveaway is one of her originally designed pumpkin pillows. This hand embroidered stitchery design can be used in your home for your fall decorating. It will welcome everyone to “The Great Pumpkin Patch”. It measures appx 9x9 inches, is made with country muslin and filled with fiberfill. The bottom is hand stitched closed. 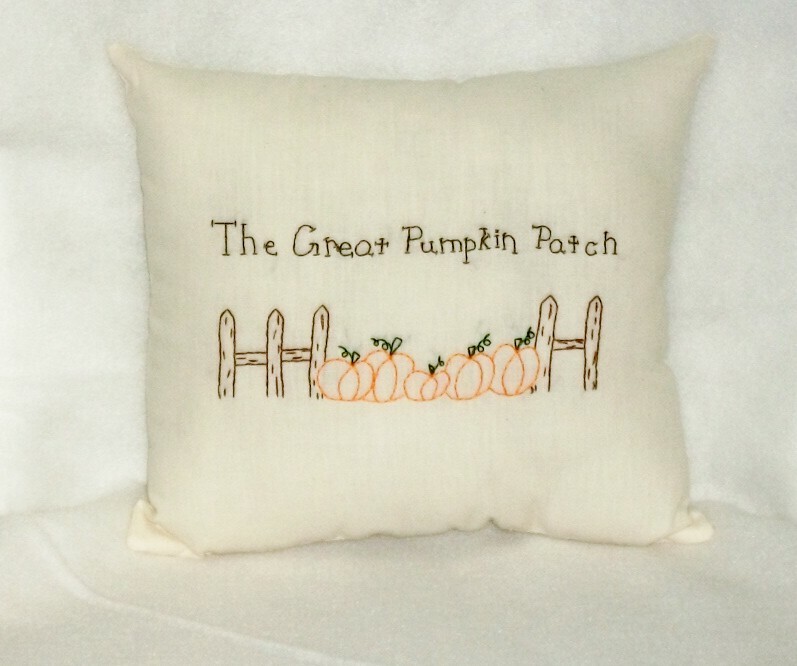 You will love the rich orange, greens and browns of the stitchery as it sits on your shelf or chair and adds that special touch to your prim/folk art décor. 1. 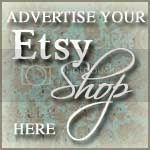 Visit Colleen's Etsy shop, http://www.etsy.com/shop/needlesnpinsstichery and come back here and post a comment with your favorite item in her shop. Be sure and leave your email address so we can contact you if you win. The giveaway will start today, Saturday, October 5. The last day to enter will be October 18, 2013 and the winner will be announced on October 19, 2013. We will announce it here and contact you by the email address you have left. Our previous pick for the winner of this giveaway did not respond to our emails in the time limit allowed so we have had to pick a new winner for this prize. Congratulations to Lori Gagnon Lori is the new winner of our Flea Market/Kindle Tote giveaway.